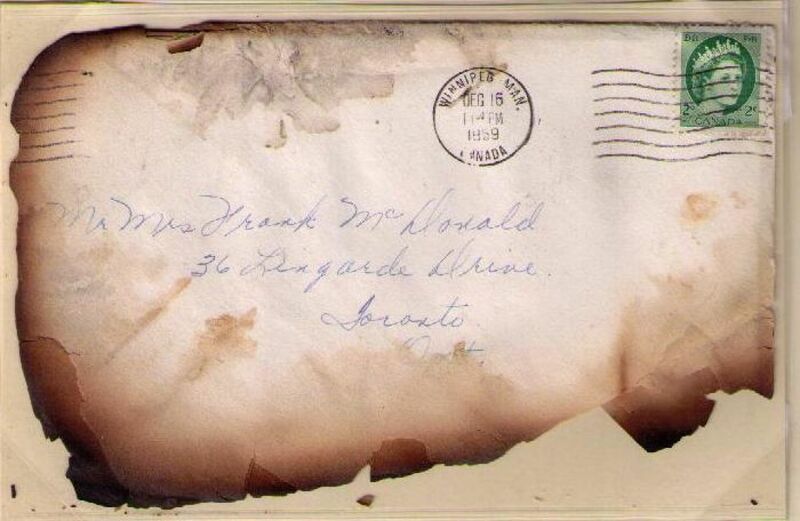 An example of fire-damaged mail. CATSKILL – A fatal tractor-trailer accident on the NYS Thruway last week may have caused the recent delivery of smoky-smelling, singed or repackaged mail. On March 31, at around 5:30 a.m., state police responded to an accident on Route 87 in the town of Catskill. A tractor trailer hauling U.S. mail reportedly veered off into the right shoulder and struck a parked truck. The police said both vehicles traveled 100 feet on the shoulder when they caught fire, causing all northbound lanes to close. The driver of the mail truck, Irinel Mladin-Kennedy, 51, of Schenectady, was pronounced dead at the scene by the Greene County coroner. Michael Wolf, 63, of Red Lion, Penn., the driver of the parked truck, was transported to Albany Medical Center for non-life-threatening injuries. According to USPS Spokesperson George Flood, the law enforcement branch of the postal service responded to the accident to “ensure the security of the mail.” Flood noted that the truck contained mail for the Mid-Hudson/Albany areas, and the accident resulted in both water and fire damage to mail that was being transported between processing centers. Flood said the recovery process was labor intensive and ongoing, but that if anyone in the Mid-Hudson region had a question about their mail, they could contact the U.S. Postal Service Westchester District Consumer & Industry Contact office at 914-697-7000.